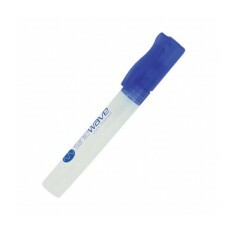 Keep all that nasty bacteria at bay with our promotional Hand Sanitiser. Designed to kill any harmful bacteria you might come into contact with, these bottles will help you brave the public toilets and still come out feeling fresh. Customised hand sanitisers are great giveaways to help promote a more hygienic world, especially in the colder months where colds are easy to find and even easier to spread. But if you’re looking for all year round use for a medical or dental practise, we do larger sized branded hand sanitiser so you can make sure germ control is at its best. 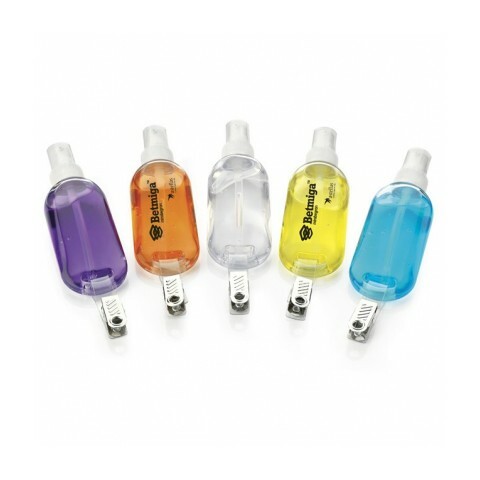 Hand them out at events to save you from catching something from the handshake, clip them to your belt for when you’re seeing patients or just stash one in your handbag in case of emergencies, personalised hand sanitisers are great giveaways and suitable for every work space. Small enough to slip into your wallet like our personalised Credit Card Hand Sanitiser to Antibacterial Hand Wipes Pocket Pack that’s perfect for wiping your hands after the inevitable handshake with flu infected colleagues, you’re sure to find one to suit your intent. 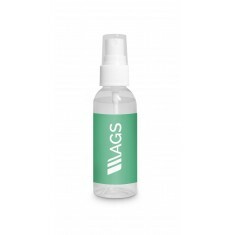 If you’re in search of one to use on the go, our custom printed Antibacterial Sanitiser Spray - 7.5ml is the ideal portable size. 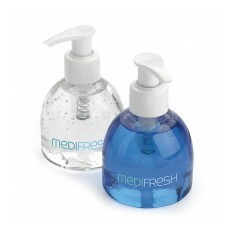 Compact and full of germ destroying goodness, this bottle is great for taking anywhere to tackle the tide of germs. 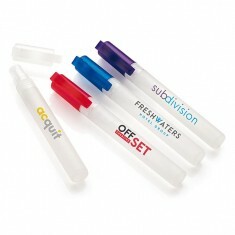 Printed with a full colour label as standard, you can make these sprays as colourful as you please. Found a few you like? Give our sales team a call and we can arrange free of charge visuals to be drawn up to help you make the decision. 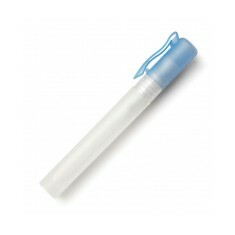 Clear plastic tube. 10ml capacity. ROHS / SVHC / MSDS certified. 4 lid colour choices. Printed full colour. Gel clear as standard. Large print area. 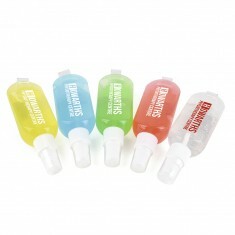 Other colour gels available. Credit card shaped. 20ml capacity. 1 year shelf life. 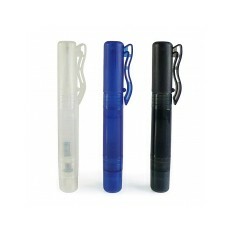 Printed full or spot colours. 60 biodegradable hand wipes inside. Recyclable pack. Printed full colour. 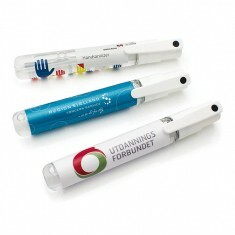 Pen & 5ml anti bacterial hand sanitiser spray. BS EN1500 compliant. Black ink refill. 20ml capacity. BS EN1500 compliant. 3 colour choices. Large branding area. 7.5ml capacity. Waterless. BS EN1500 compliant. UK stocked. Large branding area. 8ml capacity. 8 colour choices. Alcohol based. Spray design. Made with aloe vera & vitamin E.
9ml capacity. Cap & clip. BS EN1500 compliant. UK stocked. Printed full colour. 15ml capacity. Personalised in full colour. Compact size. Excellent for travel. Waterless design. Tested against MRSA & Swine Flu. 250ml capacity. UK made.